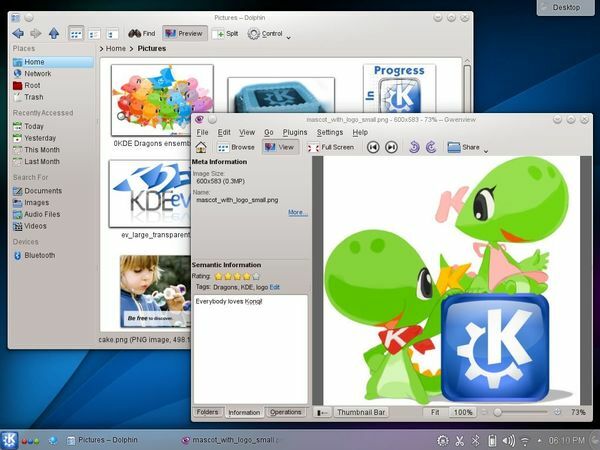 The second updates of KDE 4.13 series was release on June 10, 2014 with more than 40 recorded bugfixes include improvements to Kontact, Umbrello UML Modeller, the Desktop search functionality, Konqueror and Dolphin. According to the changelog, this release of KDE Applications includes a number of important fixes for Kopete: a decrease in the exit time of Kopete with enabled statistics plugin, a fix for the compilation of jabber libjingle for non x86 architectures and another fix for voice call support in the jabber libjingle library. Without this last fix, voice calls worked only with the old Google Talk windows jingle client. Now after applying the patches it was tested with GMail web plugin, old Google Talk windows client, telepathy-gabble and other Kopete versions. KUbuntu Updates PPA has made this release into PPA, available for Ubuntu 14.04 and its derivatives.